Virat Kohli, the Indian team skipper, conveyed his new year wishes to fans all the way from Australia. In his post on Twitter, Virat Kohli wrote, “Happy New Year to everyone back home and all over the world, all the way from Australia. Have a wonderful year ahead God bless everyone.” Kohli was one of the first among the Indian cricketers to wish his fans. 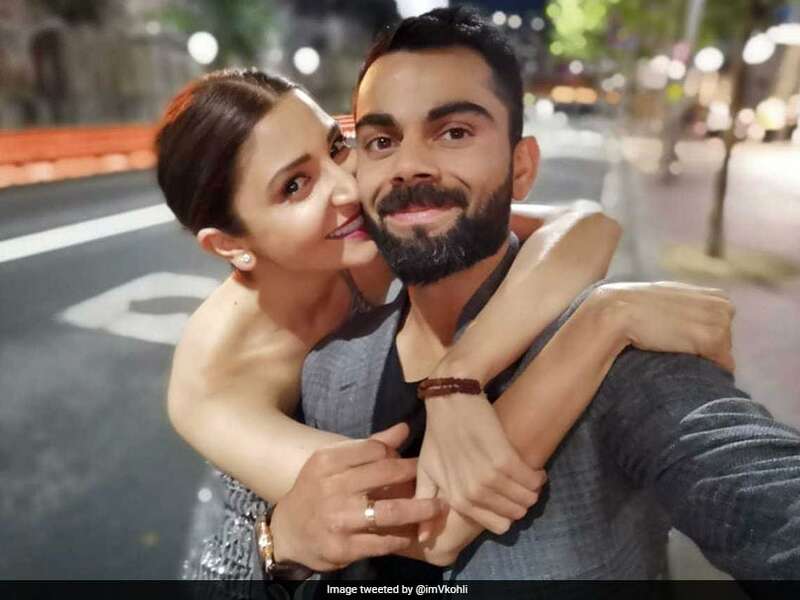 Along with the New Year’s greetings, he also posted two adorable picture of his along with wife and bollywood actress Anushka Sharma. Kohli will be heading into 2019, after finishing the previous year as the highest international run scorer. In 2018, he had achieved the feat for the third consecutive year, scoring 2,653 runs at an outstanding average of 69.81. The 30-year-old Kohli’s new year’s celebration comes after the visiting India defeated Australia in the Boxing Day Test, to take a 2-1 lead in four-match series. Kohli, with the win in Melbourne, equalled Sourav Ganguly’s record for most overseas Test wins as an Indian captain. In the day earlier, Kohli was also named as the skipper of Cricket Australia’s ODI team of 2018. He had played 14 ODIs in 2018, scoring over 1,200 runs at an outstanding average of 133.55.